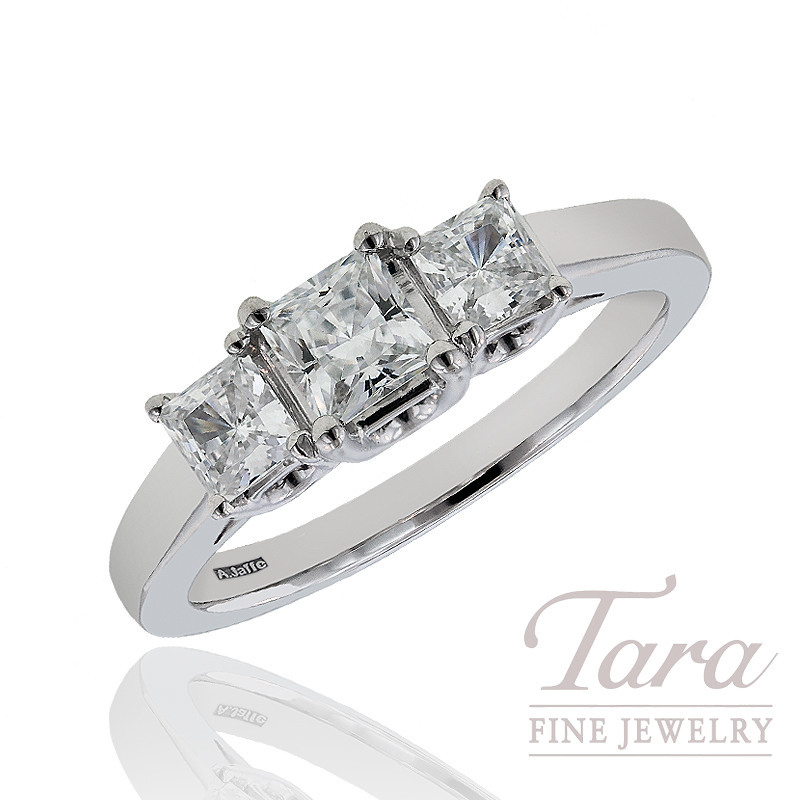 At 1.00 CT TW, this A. Jaffe shining princess cut three stone beauty features a center diamond, .50 CT and two accenting diamonds on each side, .50 CT TW for exquisite sparkle and shine! This classic A. Jaffe ring is available to you in your preference of 14K or 18K white or yellow gold, or in platinum. Just click on the reserve button to receive details on current pricing and availability.